April Lavalle is a writer, actor, and improviser living in New York City. 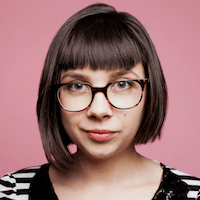 She has previously written for Reductress, Runt of the Web, HelloGiggles and more. As you can tell, she cuts her own bangs.